Ann Dodds Costello, “When Art is a Family Affair,” Maine Boats, Homes, & Harbors, November/December 2016. 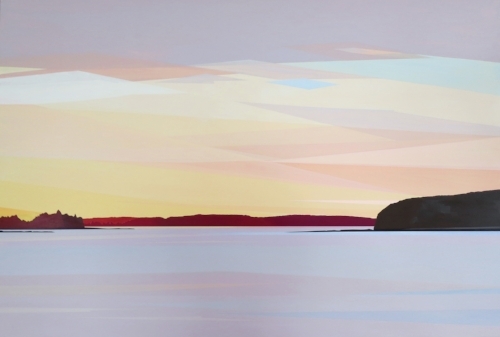 Jamie Thompson, “Cities on the Edge,” The Canvas, Maine Home + Design, December 2015. Britta Konau, “art current: Greta Van Campen at the Dowling Walsh Gallery,” The Free Press, May 22, 2014. Kay Stephens, “Behind the Slides, How Kickstarter allowed this artist to paint all fifty states” Pen Bay Pilot, April 18, 2014. Chase Reynolds Ewald, "Seeing All Sides," Western Art and Architecture Magazine, April/May 2013. Dagney C. Ernest, "To Look For America," Arts and Entertainment, The Courier-Gazette, The Camden Herald, and The Republican Journal, October 11, 2012. "See, Greta Van Campen," Maine Magazine feature, October 2012.